This award-winning article was originally published in the Marin Medical Society Journal. To read the original article, click here. 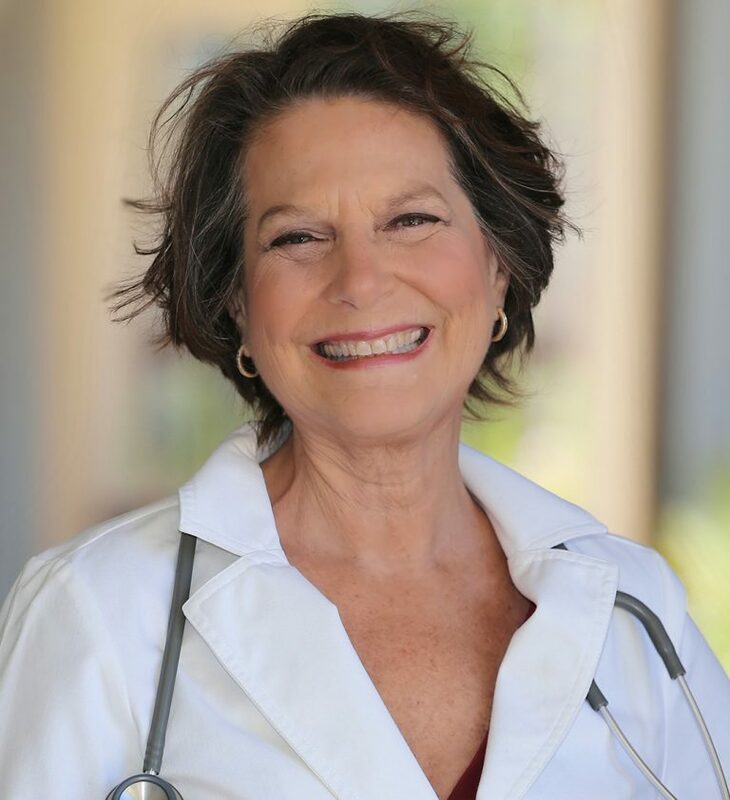 Congrats to Dr. Gail Altschuler for winning Article of the Year by the Marin Medical Society! Physicians understand the negative health consequences of being overweight, including a higher incidence of heart disease, diabetes, cancer and back pain, to name a few. Another consequence is the effect of weight on fertility, fertility treatment and pregnancy, as well as the ongoing health of mother and child. 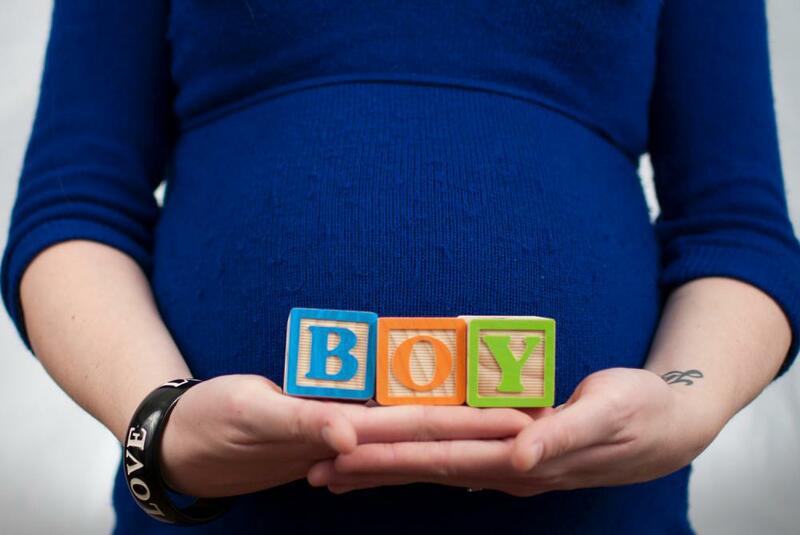 Obesity brings multiple physiologic changes that affect fertility and pregnancy, including changes in estrogen, testosterone, and LH/FSH ratios. Leptin, insulin and multiple inflammatory cytokines are also affected. These contribute to abnormalities of ovulation; abnormal egg, embryo and endometrial development; unsuccessful implantation; and failure to maintain a viable pregnancy. Male fertility is also negatively affected by obesity. The prevalence of male infertility is increasing, as evidenced by decreasing sperm counts throughout the world. It has been estimated that sperm counts have fallen by as much as 1.5% each year in the United States, a finding also noted in other Western nations.3 Health, volume and motility of sperm are all affected. Although the cause is uncertain, proposed explanations include increasing obesity and exposure to environmental toxins. Women who are underweight (BMI <19) often have difficulty conceiving as well. After ruling out underlying illness or eating disorders, it is generally easier for this population to reach an ideal weight and improve their odds for conception. For all groups, an ideal body weight results in the best outcome for fertility and fertility therapy, as well as maternal and fetal health. Greater frequency of hypertension, gestational diabetes, preeclampsia, stillbirth and other complications of pregnancy. Rates of stillbirth are twice as high in obese patients as in normal weight patients. Increased risk of cesarean section delivery. The C-section rate is almost 50% in obese women, and the postoperative complications following C-section are significantly higher as well. In the face of all these potential complications and adverse effects, reduction in BMI through weight loss has been demonstrated to improve fertility and fertility therapy success and to lower complications of therapy and pregnancy. Women often ask for help with weight loss when they are considering pregnancy. Many of them understand that pregnancy will be easier if they don’t carry extra weight. Recently I helped care for a patient who had tried unsuccessfully to become pregnant during the past year. I chose her as an example because she might not be considered a typical candidate for weight-loss therapy, yet the intervention in her case turned out to be simple and effective. She had already been to an infertility specialist and was told she had a fibroid uterus. She had a long history of irregular or missed periods and a diagnosis of polycystic ovary syndrome. Her initial BMI was only 26.5, but her waist circumference was 36 inches. (Central obesity is often characteristic of women with impaired fertility.) The patient also had a high-stress job, many hours of driving and little physical activity. She started on a 1,200 calorie low-fat diet, avoiding refined carbohydrates (the whites: white sugar, white fl our, white rice, and white potatoes because of all the toppings). I advised her to eat small, frequent servings of protein throughout the day. She also began phentermine at one-half of a 37.5 mg tab daily. She delayed pregnancy for several months during the active weight-loss phase. She resumed regular physical activity and started yoga. She was seen every 2–4 weeks for monitoring, and I adjusted her program as needed. At her 6-month follow-up exam, she had lost 12 pounds, her menses had returned to normal, and she was feeling better than she had in a long time. Her husband also lost 25 pounds. (When women take better care of themselves, it is common for the entire family to benefit.) Medications were stopped, and she continued to lose weight following a program of reduced calories, optimal protein, regular physical activity, and yoga for stress management. Six months later she happily reported she was eight weeks pregnant. After five months of pregnancy, she was 10 pounds lighter than at her initial visit. This case illustrates the tremendous opportunity physicians have to influence weight loss in women before and during pregnancy. The U.S. Preventive Services Task Force recommends making height and weight measurements part of vital signs.7 They also recommend recording waist circumference for people with a BMI over 25. These actions go a long way toward letting patients know the importance of weight loss; they also alert you to potential risks. Patients are often surprised to learn what weights are medically considered overweight, obese and extremely obese. Beginning weight counseling early, long before pregnancy is contemplated, makes a big difference. It’s easier to lose 10 to 30 pounds when a patient is younger, and changes made at this time of life can have a positive effect far into the future. Eating more protein, much less sugar and avoiding refined carbohydrates can result in significant weight loss. Even weight loss of 5–10 pounds can improve health and metabolic parameters. Anti-obesity medications can be a helpful tool when used with a comprehensive program. Patients who have a significant amount of weight to lose often do better with medications. All weight-loss medications are contraindicated during pregnancy, but they can offer a significant advantage when used selectively and carefully monitored with patients who are considering a pregnancy that might otherwise be impossible. Several weight-loss medications have recently been approved by the FDA, making it easier for primary care physicians and ob-gyns to prescribe them. The medications include phentermine- topiramate (Qsymia), lorcaserin (Belviq), wellbutrin-naltrexone (Contrave) and liraglutide (Victoza). Each offers a different approach to a complex problem. Some older medications, such as phentermine, diethylpropion and phendimetrazine, have a long history of safety and effectiveness. Patients must use appropriate contraception during this active weight-loss phase. For pregnancy itself, clomiphene has long been considered first-line therapy to induce ovulation. Metformin plays a role in managing infertility caused by polycystic ovary syndrome (PCOS), an endocrine abnormality that, through numerous proposed mechanisms, leads to anovulation.8 Although the comparative results of clomiphene vs. metformin have differed, a 2009 meta-analysis showed no difference between the two treatments in terms of ovulation rate, pregnancy rate, or live birth rate.9When clomiphene plus metformin was compared with monotherapy with each agent, combination therapy was no more successful than monotherapy. Bariatric surgery may not typically be considered when discussing planning pregnancy, but in the severely obese woman, bariatric surgery can greatly improve her odds of conceiving, either naturally or assisted. A positive outcome of pregnancy is also directly linked to the degree of weight loss. For women who have been unable to become pregnant, weight loss can be all that’s needed. The closer these women get to their ideal weight, the better their chance of success. There are many reasons for infertility, however, and weight loss and lifestyle changes will not address all of them. Nonetheless, weight loss is one of the most powerful and effective interventions. In my experience, just reducing insulin resistance with proper diet and physical activity can make the difference. Weight loss can help restore a healthy hormonal balance in both overweight and obese men and women. It can create an environment where the odds of becoming pregnant naturally, as well as the success of infertility treatments, are optimized. Ask permission to discuss weight. A few nonjudgmental questions can initiate a powerful partnership. “Would it be alright if we discussed your weight?” or “I’m concerned about your weight because I think it might cause health (or pregnancy) problems down the line” are a good place to start. Preferred words and phrases, such as unhealthy weight or excess weight, are better accepted by patients than words and phrases like obese, fat or large size. Make your office welcoming to overweight patients. Use scales that read higher weights, large-size gowns, and chairs that are comfortable and fitting. Respect their privacy and remain sensitive to how you speak about their weight as it impacts their health. Make weight, BMI and waist circumference part of routine vital signs as appropriate. Begin counseling early. Begin educating and counseling on the benefits of achieving and maintaining a healthy weight long before pregnancy is desired. Provide monthly follow-up. Patients who are actively in a weight-loss phase need regular follow-up during maintenance. Refer if necessary. Patients with complex weight-loss needs may need referral to a specialist. When seeing an overweight or obese woman choosing to become pregnant, offer counseling and recommendations for appropriate calorie and nutritional intake, plus physical activity. Handouts work well at this stage. Patients who are in an active weight-loss process should be seen every 2-4 weeks for support and guidance. Often these visits can be done by a nurse or medical assistant; minimal extra training is required. If these efforts are unsuccessful or the patient has significant weight to lose, refer them to a dietitian, community weight-loss program or specialist. In my experience, a physician’s interest in a patient’s weight loss frequently results in a positive response. Rich-Edwards JW, et al, “Adolescent body mass index and infertility caused by ovulatory disorder,” Am J Ob Gyn, 171:171–177 (1994). Zaadstra BM, et al, “Fat and female fecundity,” BMJ, 306:484–487 (1993). Ahmad HO, et al, “Obesity and male infertility,” Semin Reprod Med, 30:486-495 (2012). Robinson, et al, “Maternal outcomes in pregnancies complicated by obesity,” Ob Gyn, 106:1357-64 (2005). ACOG, “Obesity in pregnancy,” Committee opinion 549 (2013). O’Reilly JR, Reynolds RM, “Risk of maternal obesity to the long-term health of the offspring,” Clin Endocrinol, 78:9-16 (2013). USPSTF, “Obesity in adults: screening and management,” www.uspreventiveservicestaskforce.org (2014). Morin-Papunen L, et al, “Metformin improves pregnancy and live-birth rates in women with PCOS,” J Clin Endocrin Metab, 97:1492-1500 (2012). Palomba S, et al, “Clomiphene citrate, metformin or both as first-step approach in treating anovulatory infertility in patients with PCOS,” Clin Endocrin, 70:311-321 (2009). ACOG, “Bariatric surgery and pregnancy,” Obstet Gynecol 113:1405-13 (2009).